King David’s fear expressed in Psalm 71:9, is a very real fear for countless older people. Elderly citizens sixty-five and over constitute over thirteen percent of the United States’ population. In thirty-five years the number of elderly in America will increase to twenty two percent. Research shows that as people age, they are increasingly likely to live alone and become socially isolated and lonely. Isolation has been proven to be a risk factor for a broad array of illnesses and even death. In short, king David’s fear of isolation and loneliness is valid. Isolation and loneliness can be deadly. You can be an answer to prayer! 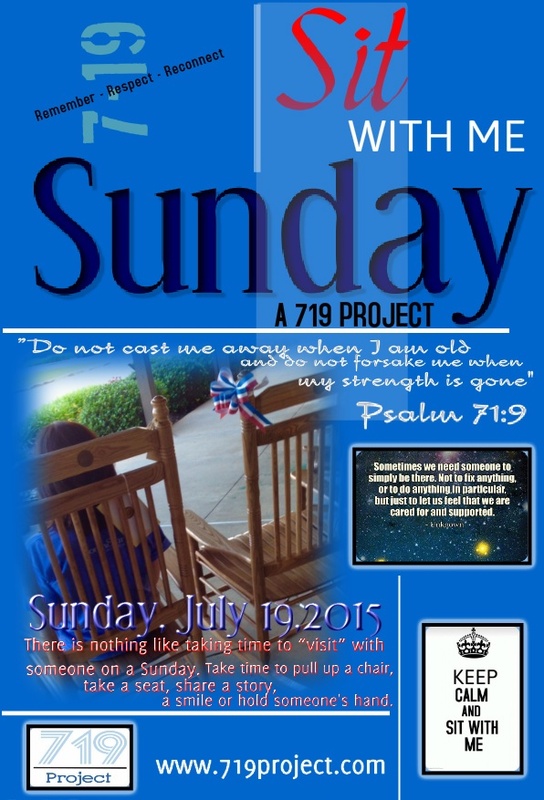 Join the 719 project. To end isolation and loneliness among the elderly and infirmed in our communities. The719 project is a faith based movement, determined to spotlight the value of Elders and encourage and equip people to answer the cry of David found in Psalm 71:9, and echoed in the lives of countless other aging or infirmed people, to not be abandoned or forgotten. Changes in American society indicate a disturbing trend toward increased social isolation. Research over the past several decades has repeatedly shown that a lack of social ties increases the risk for poor health. The Golden rule tells us to, “Do to others as you would have them do to you.” One day, if we live long enough, each of us will become elderly. How would you want to be treated as you get older? Would you want others to remember you and take time to listen to you? Would you want others to be able to learn from what you’ve experienced? The 719 Project exists to bring together the generations. Young and old alike have unique gifts to offer one another. And the foundation for learning and growth between the generations is respect. The 719 Project seeks to foster respect for the elderly by working to develop educational materials for families, schools, churches and communities to help teach the character qualities of honor and respect. Through the 719 Rallies, we also hope to foster opportunities for the generations to come together and to discover ways to continue to build respectful relationships throughout the year. 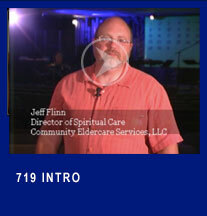 The third pillar of the 719 Project is to help individuals, families, businesses and congregations to discover ways to reconnect with the elders in their community. When the elderly are no longer able to take part in community, church or family activities, they can easily feel forgotten. The 719 Project, through our website, rallies and printed materials, tell the stories of how people are reconnecting with elders in communities all over this country.